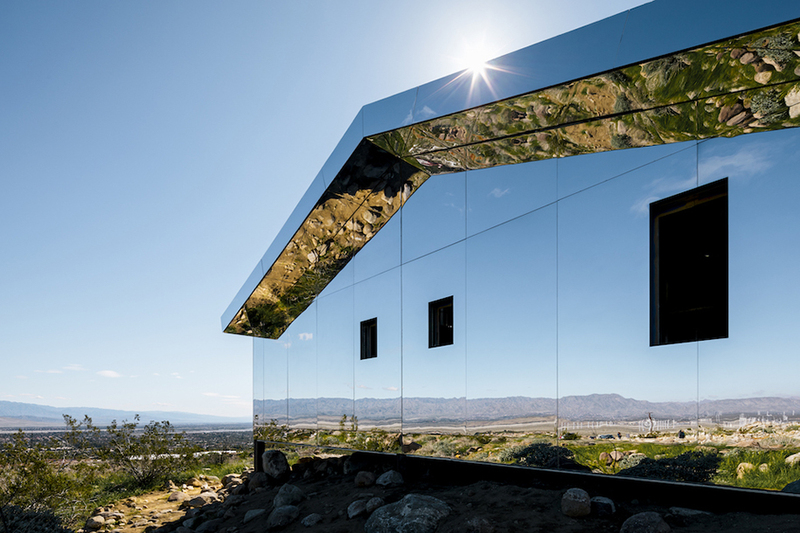 The American artist Doug Aitken has set up a realization of winter land art in the form of a single-storey house structure with two-sided roof devoid of any function and texture. 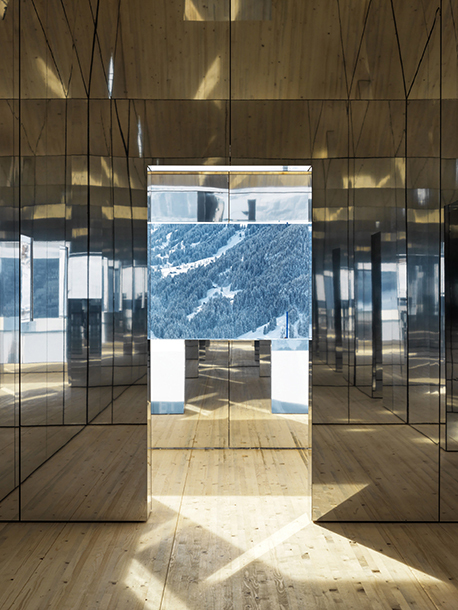 An immateriality symbolized by the mirrors that completely cover it, reflecting the alpine site, unfolds around the structure. 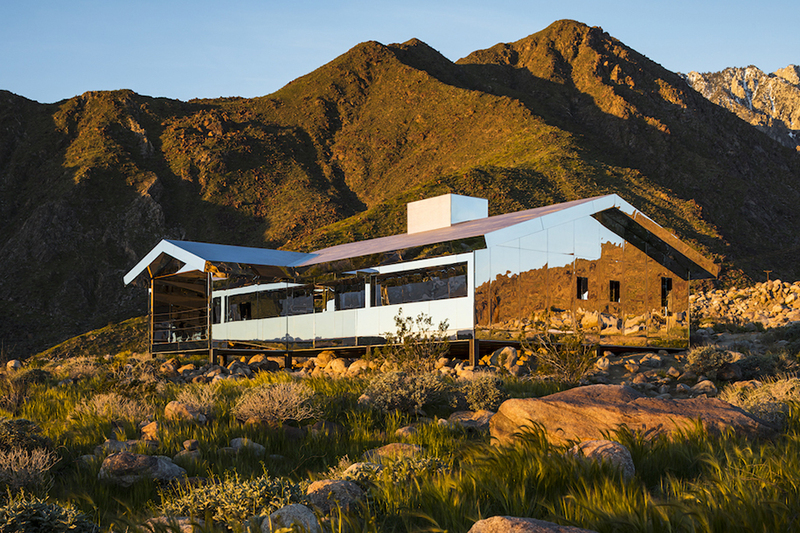 Inspired by the Californian style of the 1920 and 1930 years, the primary structure refers to the typical western ranches that embody the work of Frank Lloyd Wright, a source of inspiration frequently mentioned by the contemporary artist. 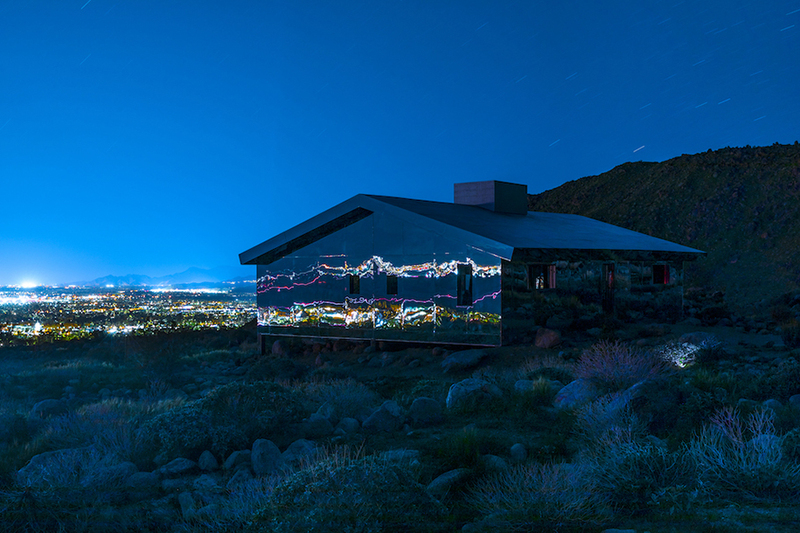 The Mirage House is imagined as part of the artist's Land Art tryptique - also including the performance The Garden and Underwater Pavilions. 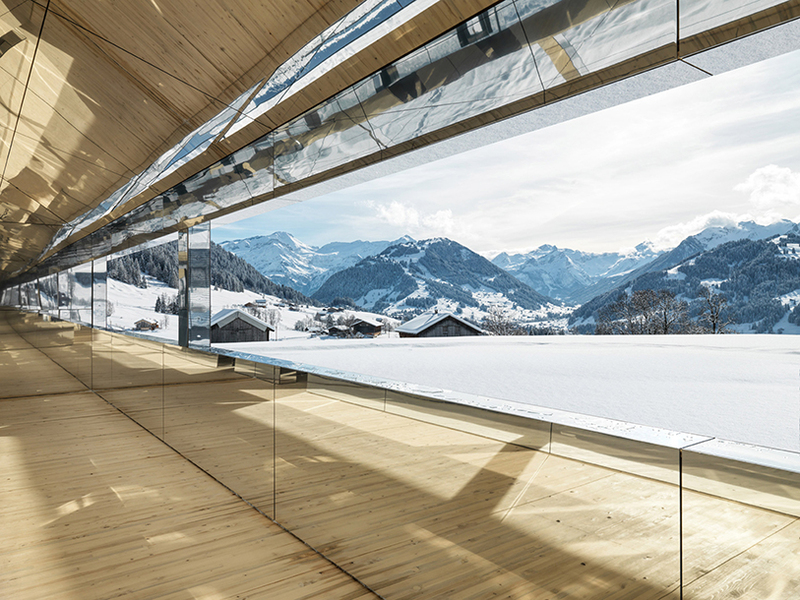 Unlike traditionally sedentary homes, Aitken's dream house traveled to a California desert and a former state bank in Detroit before settling in Switzerland on the Gstaad mountains. The designer adapts his work according to the chosen locations, slightly modifying the angles of the construction to give the optical effects to the situation. 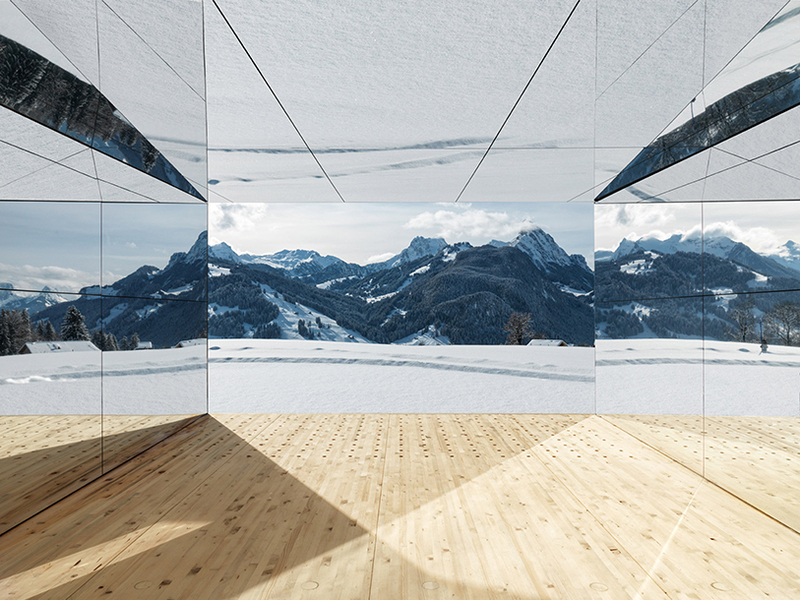 He imagines an absorbing installation reflecting his external environment, until it disappears in the multiple faces of the kaleidoscope. The interior is made of the same material as its envelope, and acts on the visitor to absorb it in an introspective approach. 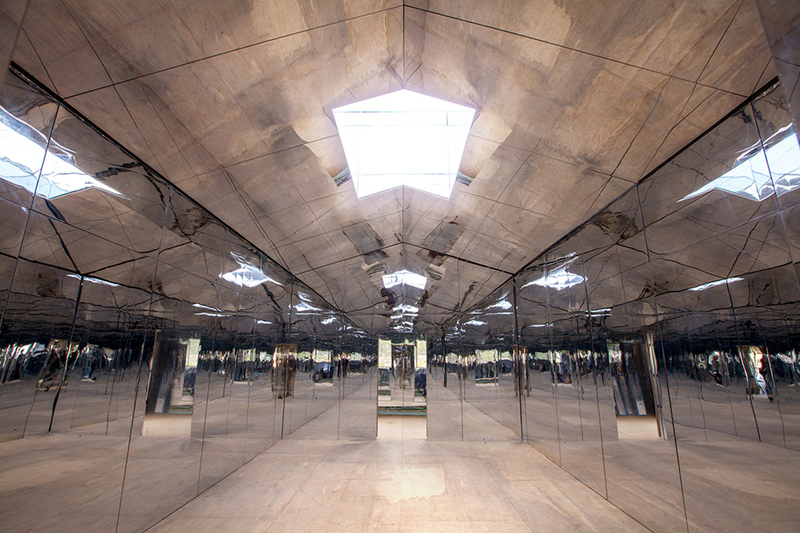 The structure, planned to remain two years on its current site, acts as a framework, subjecting the visitor to the forces and tensions that occur in the evolving landscape, and offers an experience that is both psychological and physical, objective and subjective. Each variation in the environment, each luminous refraction presents the work in a new light, creating a work whose singularity is infinitely renewable. 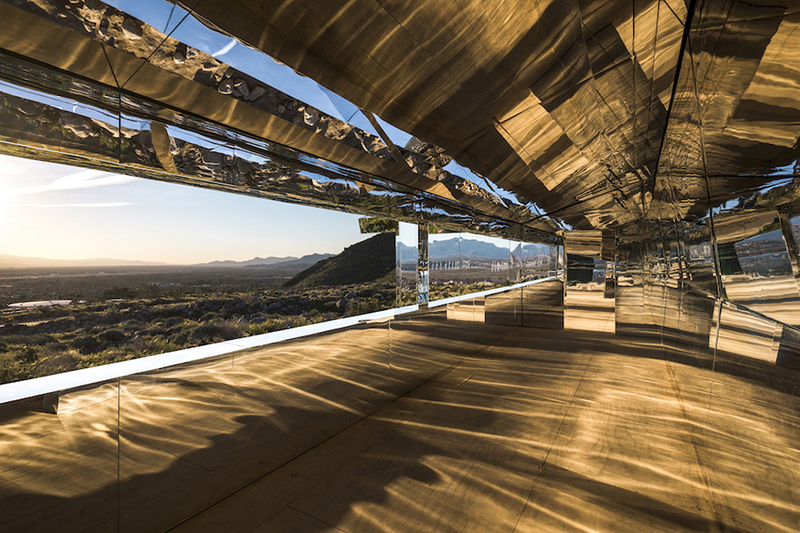 A multifaceted creation, the Mirage House invites the visitor to explore the physical changes of the surrounding nature, similar to the mutations governing the human soul.